It’s a steep walk up the drive to Will and Savannah Alshaer’s new home in Mars Hill. But once you’re there you can see a long way. Will Alshaer watches the dedication with daughter Lyla. Vision was a big topic at the home’s dedication in late October. The tidy three-bedroom, two bath home is the first project in years for the Madison County Habitat for Humanity affiliate. 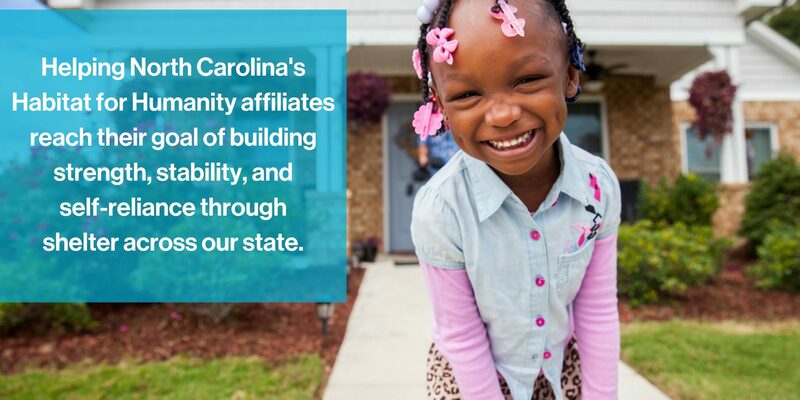 It was built with help from the Asheville Habitat affiliate and a big boost from the State Employees Credit Union Foundation’s $10 million Mountains-to-the-Sea Challenge – to build a Habitat for Humanity home in each of North Carolina’s 100 counties. Will Alshaer turns the earth at the groundbreaking May 14, 2018, with Lyla helping. Savannah holds Violet. That’s where SECU’s vision created a spark. “Sometimes organizations just need a bit of push,” Barnett said. 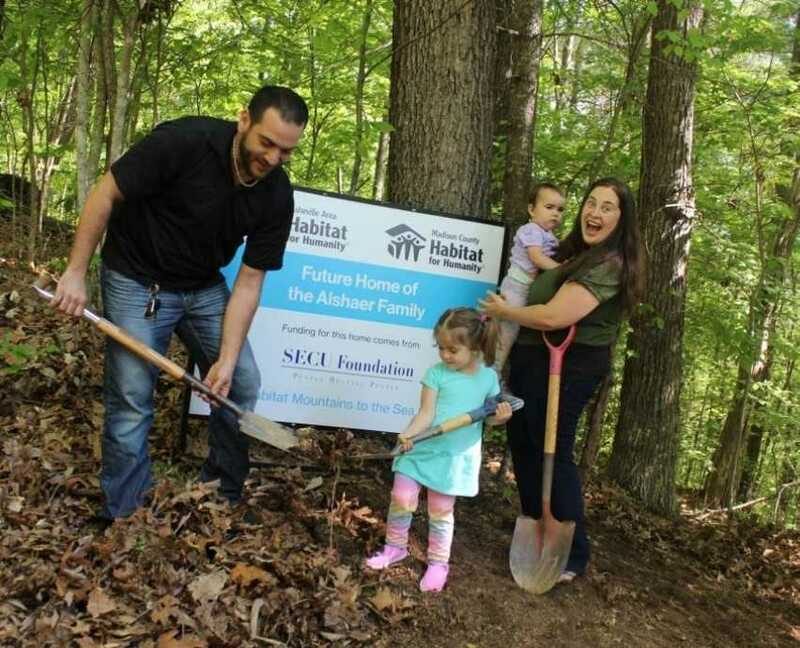 It was a big push for the Madison affiliate; once the Alshaer family assumes a zero-percent-interest loan from SECU, the money will be returned to the affiliate so that another home can be built. Andy Barnett of the Asheville Habitat affiliate, speaks of Habitat’s mission; beside him are Savannah and her daughter Violet. The couple have a long history together: Will and Savannah met in a 10th-grade horticulture class. While the attraction was mutual, they were still young, so for a time they went their separate ways. Savannah went on to earn a degree in art education while Will became an expert mechanic. When their paths crossed again, they realized that they were much better together than apart. They married and moved to Mars Hill. On this day, the clarity of that decision was evident.